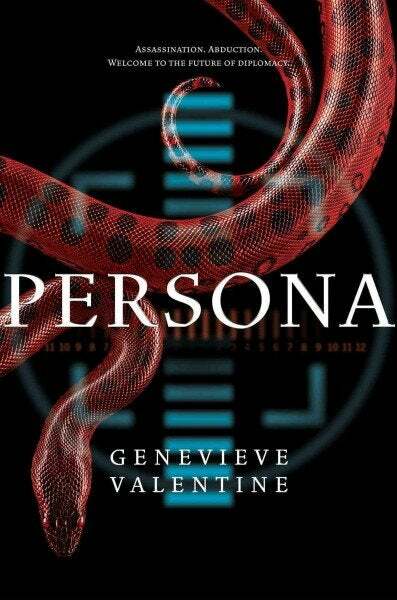 In Genevieve’ Valentine’s novel Persona, international politics are a sort of game played on an international level: diplomats are carefully chosen for their charisma, and follow a detailed script. When a C-level diplomat, Suyana Sapaki is almost killed, she finds herself involved in a desperate chase for survival. Some spoilers ahead. Also, a disclaimer: Genevieve Valentine writes for io9, but she had no hand in the writing of this review. Suyana is a newcomer to the International Alliance, a sort of UN of the extremely near future. She’s representing the United Amazonian Rainforest Confederation, and doesn’t garner the same level of press coverage as say, the United States or the United Kingdom. She’s too passionate, plain spoken and doesn’t quite follow the script that she’s given when she’s representing her home country - a place she’s barely been to. That all changes when someone tries to kill her. She’s saved by a snap - Daniel Park, a freelance journalist trying to make a name for himself by subverting the glossy press machine that the IA puts together for its diplomats. He comes to her aid, and ultimately comes along for the ride as Suyana gets pulled deeper and deeper into a conspiracy that she plays a part in. Valentine has crafted a really intriguing thriller with Persona, one that reminded me a bit of Max Berry’s brilliant novel Jennifer Government. Like Barry’s novel, Persona is an interesting sort of satire, one that takes our political systems and turns them on its head. In the world of the IA, everything about their diplomats are carefully scripted, imaged and crafted before they’re thrown into a system in which appearance is everything: politics have become the ultimate celebrity culture in this quasi-near future. Valentine starts this book off with a bang: you’re barely twenty pages in when the shots start firing, and after that, she barely lets off on the throttle. It’s a lightning fast read, but there’s as satisfying level of substance to the story that makes this an interesting read from beginning to end.